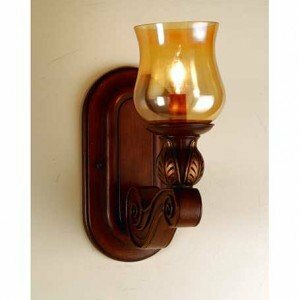 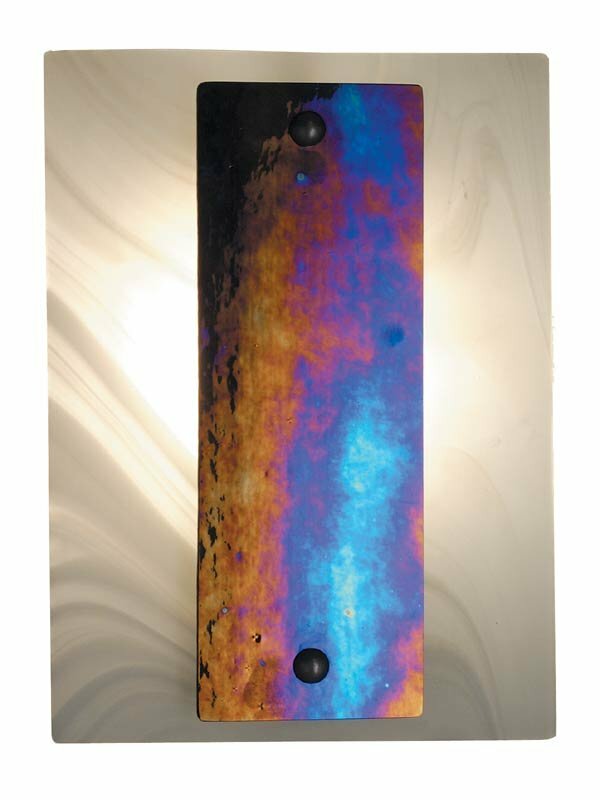 A Beam Of Light Comes Shining Down On You From The Aurora Borealis, Metro Fusion Ada Compliant Wall Sconce. 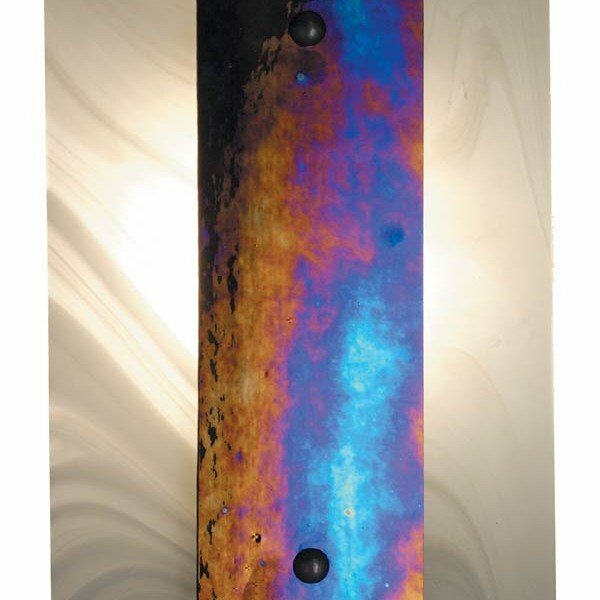 Iridized Black Glass Is Framed In A Swirling Array Of Hot White Light. 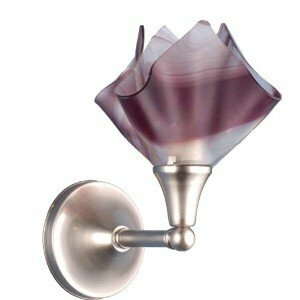 This Phenomenal Sconce Shade Is Suspended By Nickel Finished Powder Coated Hardware. 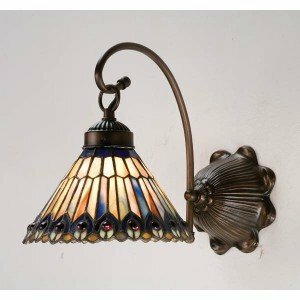 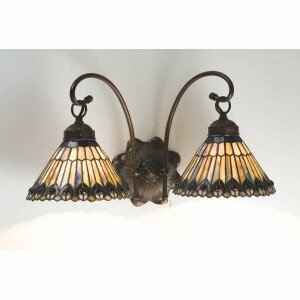 Designed And Created By Meyda Artists And Craftsmen, For A Unique, Contemporary Fixture.